Internet of Things, simply termed as ‘IoT’ is an advanced technology which the industries are starting to adapt into their operation. IoT is simply an UI that a user can integrate into almost all the electrical/ electronic devices to transform them into a smarter one. This technology is also preferred by many industries for the variety of applications it offers for a user like real-time analytics, analysis of collected data, cloud data storage, trigger an action based on a value an user sets, remote notification etc. Till now I only read about IOT and its impact in news but now I am seeing a guy sitting right next to me got a great opportunity in this emerging field. And this changed his life and if utilized well, this can change the lives of many common people. Internet of Things (IoT) finds its application in industries that prefers automation, energy efficient systems, smart devices etc. 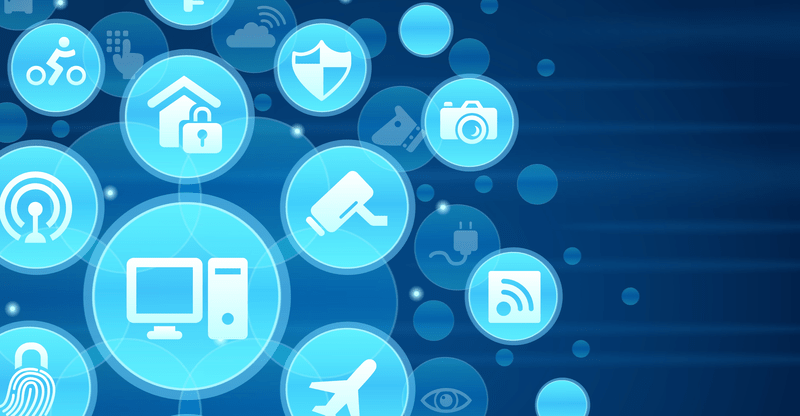 Even reports state that more than 50 Billion devices will be connected with IoT by 2020. But learning IoT is not very simple, as the system works on complex procedures and modules. The best way to learn IoT is by building projects and learning while doing it. As it is not been included in your curriculum you should probably look for training programs/ courses that you can take up to learn this amazing technology. Based on your needs, you can start building some simple IoT projects that set a right platform for you to learn and get skilled. So in this blog I’m mentioning some of the IoT project topics and the components required to build them, so you can make use and build exciting IoT projects. Here is the brief of the project topics that are mentioned above. Reports states that IoT Technology is going to transform into a multi-trillion dollar market and more than 50 billion devices will be connected to the Internet using this technology by 2020. This project helps you to understand the integration of sensors onto the IoT device and their calibration. By doing this IoT project you will develop an electronic device that can sense the temperature/ humidity changes and send updates to the user from a remote location. It can be programmed in such a way that the user will get an email and sms update based on a threshold value that you set. Internet of Things (IoT) is an upcoming technology which is going to revolutionize all the electronic gadgets that we see today in the coming years. This particular project is an application of Internet of Things (IoT) Technology. The main theme of this IoT project is to develop a device that can monitor the moisture content of the soil and turn on the water pump automatically whenever the moisture drops below a threshold value. This device can also be programmed to send the user an update via email regard to the moisture level changes from a remote location. This project introduces you to the amazing world of IoT and its fascinating applications. By doing this IoT project you will develop an electronic device that uses LDR sensor to sense the sunlight intensity and send the data to the Arduino Uno for interpretation. The system can be programmed in a way that say whenever the sunlight intensity drops below a threshold value that you set, it will facilitate the switching ON/ OFF of the street light. The data collected will be then sent to the cloud where it can be stored, analyzed and interpreted for better understanding of the power consumed. This also facilitate the smart energy management to save lot of electricity. In this IoT project, you will develop an electronic device that can detect the presence of people inside the room and send the data to the Arduino board for interpretation. You can also program the system in such a way that say whenever there is a human presence in the room it will automatically switches ON the light and vice versa. The data about the number of occupants, time for which the lights are ON etc. will be sent to the cloud for storage and analysis purposes. By doing this IoT project you will develop an electronic device that can detect the flow of water within the pipe and send the data to the cloud. The data collected will then be stored in the cloud and can be used to interpret various results. The data can be used to identify the volume of water consumed for a period of time, detecting the leakage of system, water monitoring purposes etc. This project introduces you to the amazing world of IoT and its fascinating applications. 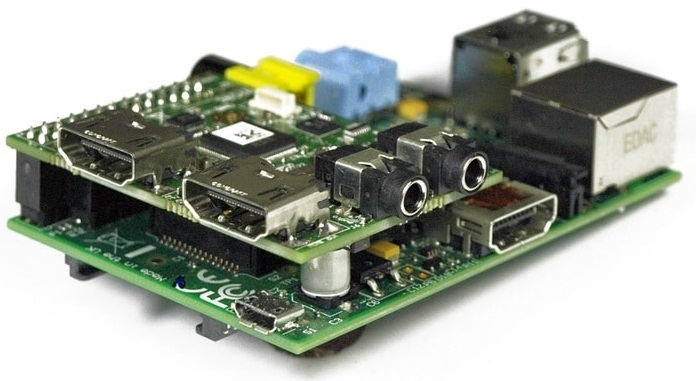 Raspberry Pi is a miniature size standalone computer that can work independently and control a system. Using a Raspberry Pi computer and a DHT sensor, you will develop an electronic device that streams temperature and humidity data over the internet. You can program the system in such a way that say whenever the temperature exceeds a certain limit, the device will automatically send an email notification. The objective of this project is to build an IoT device that can initiate the watering of the plant system automatically whenever the moisture content in the pot drops below a threshold value. This type of system can be implemented on projects like green building concepts, roof farming, etc. The device will also be connected to the internet so that the user can get the updates about the change in moisture level as an update. 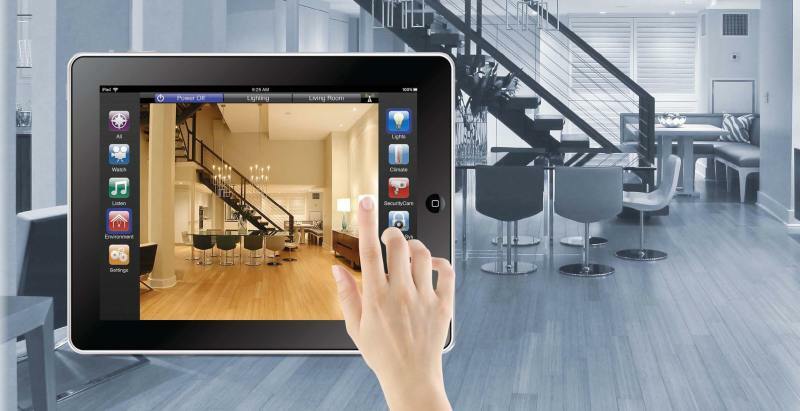 Automation is a technology through which the appliances can be controlled from a remote location. This IoT project involves the design and building of an electronic device that can be used to control all the electrical appliances in the home. It can be integrated with a raspberry pi board to make it an IoT device and then can be controlled from a remote location via internet. This IoT project involves the designing of an electronic device that will be connected to the internet to make it as an IoT device. The system can be programmed to notify the user whenever a harmful activity that happens in the home so it can be used as a security device also. It can also store the data collected in the cloud and the user can interpret the data. This IoT project involves building an authentication device that can be used for security purpose and can also be used to send the data to the cloud. For authentication purpose, you can use Biometric based system and it can be integrated with the internet by making it as IoT device. The main objective of this project is to explain the real-time data streaming over the Internet through an IoT device. The IoT based system you build will have servo motors and a raspberry pi board. Leap Motion controller is used for motion tracking and PubNub library is used for data streaming. Four servos and two 8×8 RGB LED matrices are used for detecting motion of the hands and displaying colors according to the spacing between fingers. Wearables are considered as one of the greatest innovation next to our mobile phones. 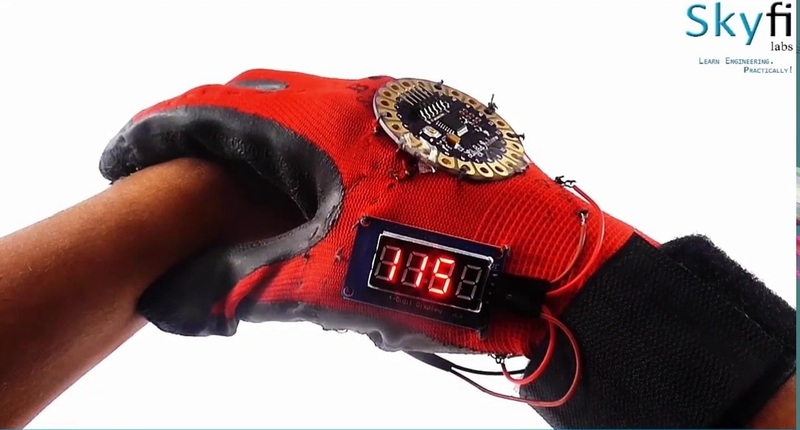 This project is one such application of the wearable technology. The glove can be integrated with sensors that can be used to monitor the vitals of the patient and send the data to cloud so that it can be accessed by anyone. 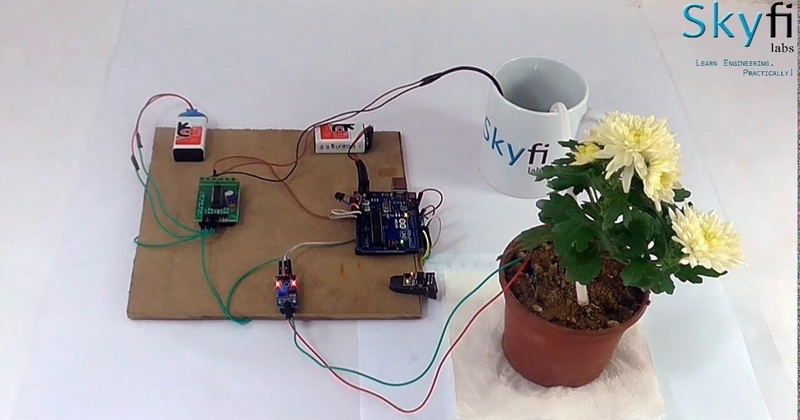 In case you are interested to do innovative Internet of Things (IoT) engineering projects but don’t know where to start, Skyfi Labs has developed Online Project-Based Courses that you can use to build your projects in the best way possible. Our Learn-Do-Review Methodology ensures you learn while you build your mini or final year projects. Kits needed will be dispatched to you within 24 hours and you get instant access to the course content. Using the kits and course content, engineering students can build super awesome Internet of Things (IoT) Engineering Projects!